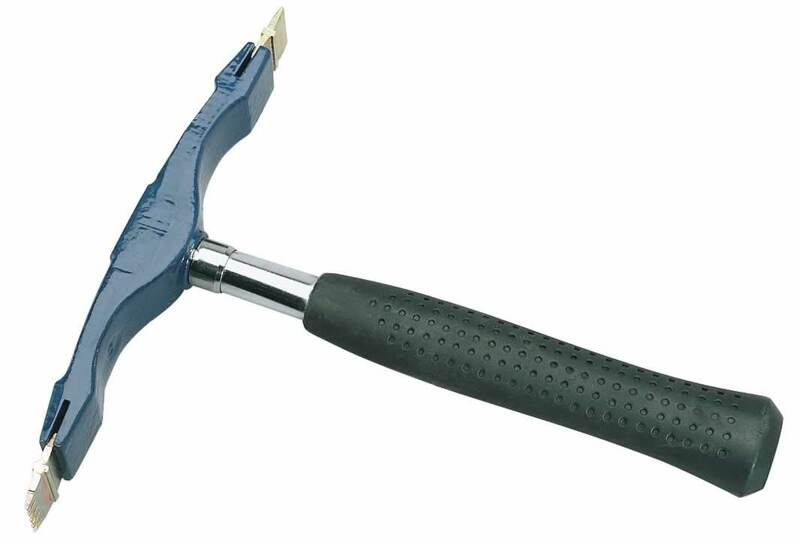 Double ended forged scutch hammer supplied with one each of 25mm plain and comb scutches. Hardened chrome steel shaft with comfortable shock-absorbing rubber grip. Sold loose.